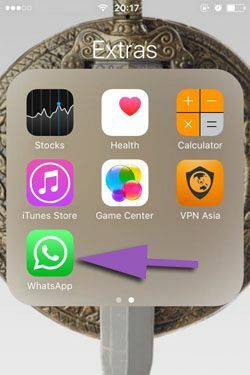 If you cannot download pictures on WhatsApp through cellular network, this guide will help you to fix this problem for iPhone. We are going to tell you how to do that on this page for you. With the help of this tutorial, you will able to figure out usage of data and storage section of the application. We have already provided many good information on that on How to Chat Online. 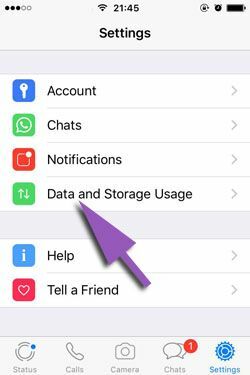 You can click here to learn more about settings of Data and Storage on WhatsApp. Let’s begin to tell how to download those photos you want through cellular network. 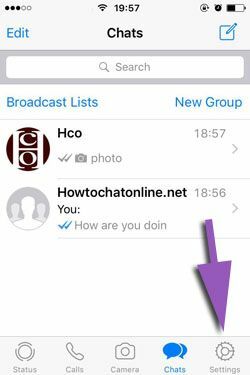 2-) Tap on settings on the main page of the WhatsApp. You can see Settings as a menu item at the bottom of the app. 3-) Swipe down on the settings page of the app, tap on “Data and Storage Usage” section. 5-) Now you will need to select “Wi-Fi and Cellular” option from the options you will see. That’s all. You will able to download all photos on your WhatsApp messenger through cellular network now. If you fail to apply these steps on your iPhone or if you had any other problem, please let us know. If you have discounts (or internet packages) for usage of cellular network, downloading photos will not be problem for you. Otherwise you shouldn’t prefer to download photos automatically, if you do not want to have high bills. If you have any questions for downloading pictures with cellular network on WhatsApp, please write a comment to us!